Composed by Johann Sebastian Bach (1685-1750). Masterworks; String - Cello Collection. Dover Edition. Baroque; Masterwork. Book. Dover Publications #06-256413. Published by Dover Publications (AP.6-256413). Nine works that masterfully reveal the deeply resonant glories for the cello and viola da gamba. 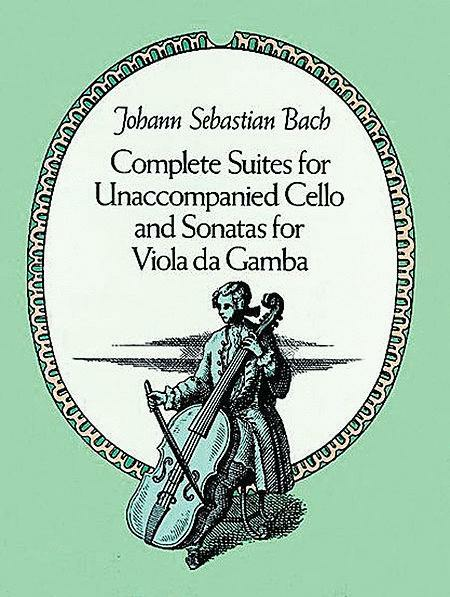 Included are the long-neglected, but now popular six suites for unaccompanied cello and the 3 sonatas for viola da gamba (commonly played on the cello). 112 pgs. 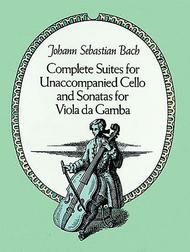 The suites are great, of course, but you should be aware the the Gamba Sonatas are written in score form. There are a lot of page turns to play just one movement.